Former Texas congressman and presidential hopeful Ron Paul posts, then deletes, picture featuring anti-Semitic caricature. The beginning of the tweet reads “Are you stunned by what has become of American culture? “Are you confused as to how every moral principle could be turned on its head so quickly? “Well, it’s not an accident. Though Paul deleted the image, it had already been saved by several social media users as a screenshot. 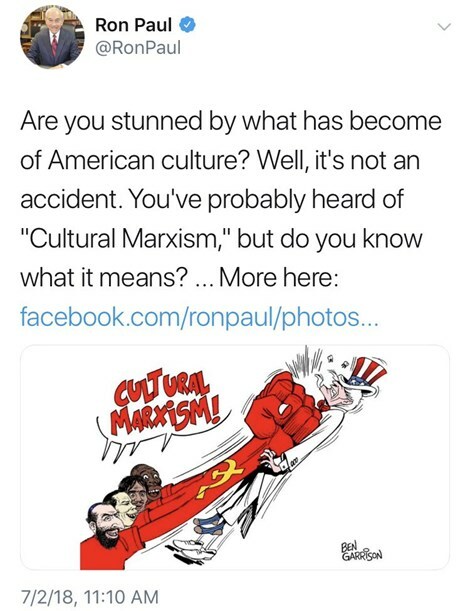 Paul, a former congressman from Texas, later tweeted and posted on Facebook the same rant against cultural Marxism but replaced the cartoon with the words “Political Correctness” overlaid with the “no” symbol, a red circle with a line through it. The racist cartoon was created by doctoring an anti-imperialism, pro-communism cartoon by superimposing the racist and anti-Semitic images. Paul was roundly criticized on social media for the image. Some draw parallels between the image and Nazi propaganda, according to The Hill. 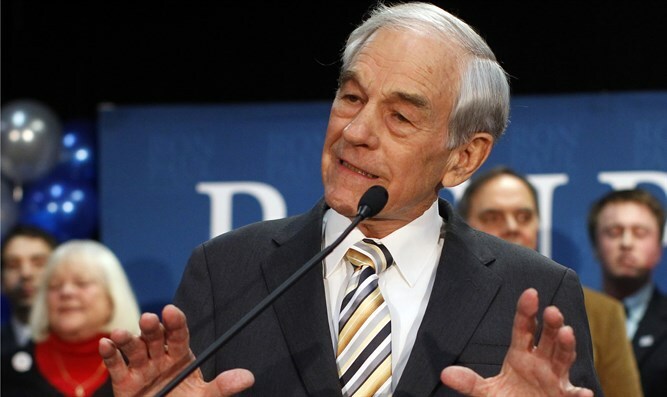 In 2011, reporters exposed racist newsletters that had been sent out in Ron Paul’s name in the late 1980s and early 1990s, such as Ron Paul’s Political Report, Ron Paul’s Freedom Report, the Ron Paul Survival Report and the Ron Paul Investment Letter. The newsletters also had come to light during the 2008 campaign, when Paul said that he didn’t actually write the newsletters and they did not represent his views, but because they carried his name he was morally responsible for their content.